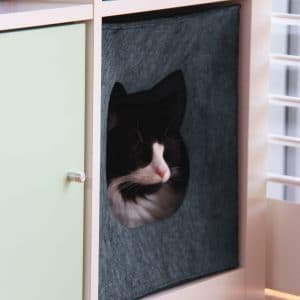 This high quality felt cat cave fits neatly into your bookshelf, providing you with a clean, minimalist look and your cat with a cosy space to call their own. 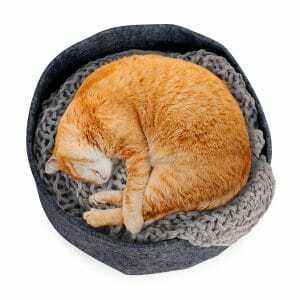 The cave is a modern 33cm square, giving kitty a comfortable space to curl up in and dream the day away. 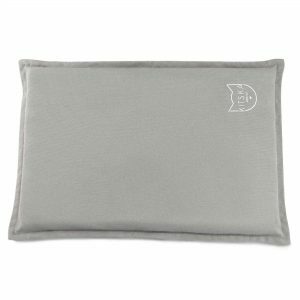 It comes in light grey or dark grey, to fit in elegantly with your home decor. 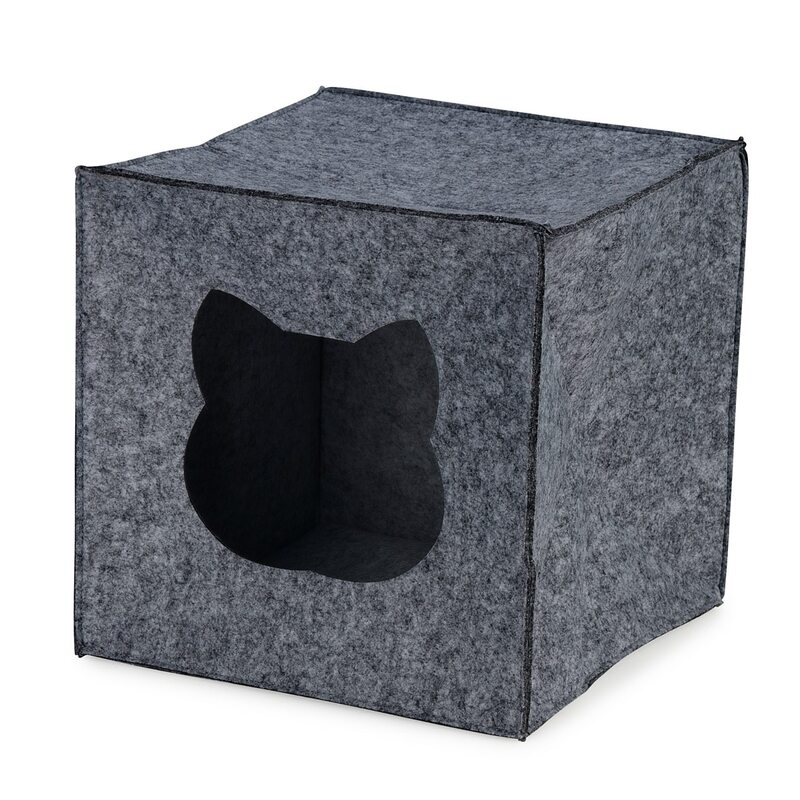 Because every little lion needs a cave to survey their kingdom from! 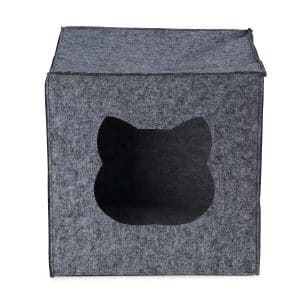 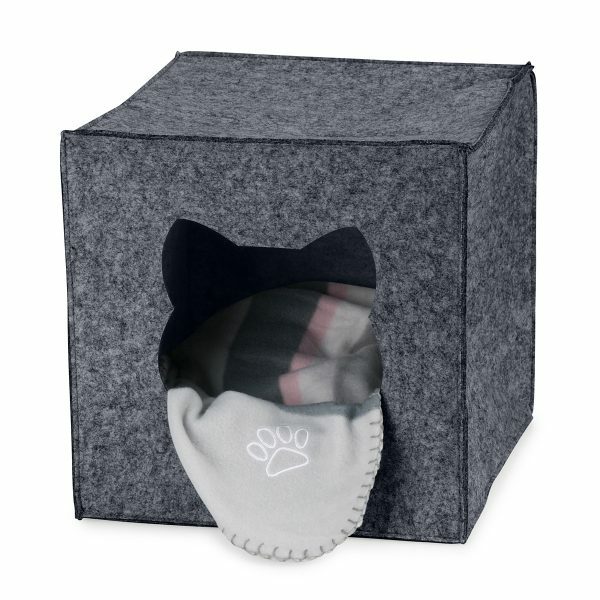 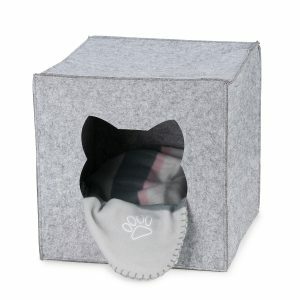 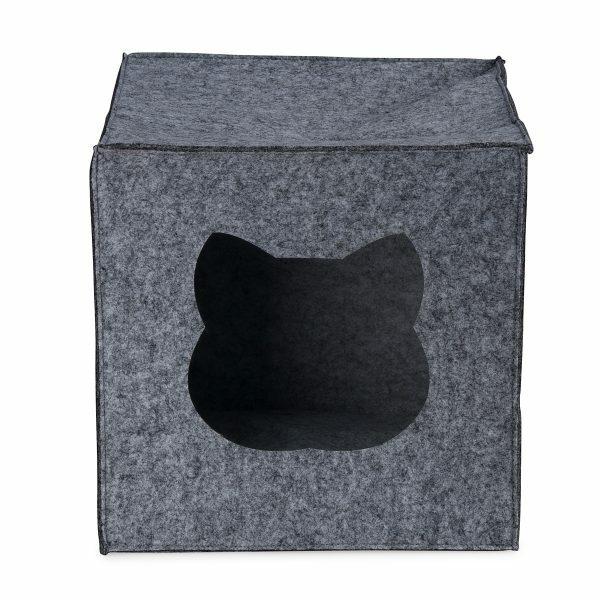 The square felt cat cave is made from 100% felt and is a 33cm square. Ever wondered what type of bed or cave is best for your cat? Wonder no more – we’ve got you covered! 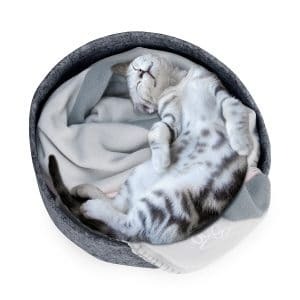 All the answers are in our blog post, What’s your kitty’s snoozing style?